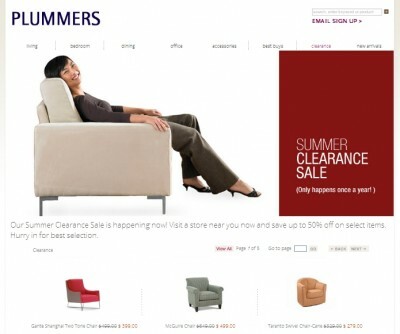 Plummers Furniture was started in 1963 in California, and today it has become one of the better-known suppliers of American-made furniture to the rest of the world. That includes sofas, tables, chairs, sideboards and beds. 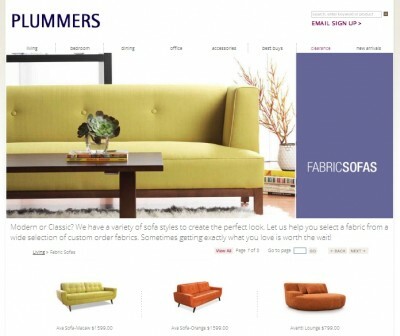 And on www.plummers.com you can browse through the company’s catalog, have items compared side by side, and buy the ones that you like with your credit card. Plummers.com is split in five main product categories. These are “Living”, “Bedroom”, “Dining”, “Office” and “Accessories”. And then, there’s both a “Clearance” and a “Best Buys” category for these times in which you have to get something for a friend who’s pretty picky, and/or you don’t have that much money to spend. Well, just by taking a long, hard look at these two categories you’ll find something that’s within your budget, and that will look the part. And if money’s a real issue, then that won’t keep you from shopping at Plummers’. Just check all the financing plans that are available here, and pick the one that suits your current situation best. Plummers is on Facebook – check its fanpage here. And the company is on Pinterest, too. This is the link. There, you’ll be able to see all the items that made up its current catalog, and the ones that are to going to be added to it shortly.